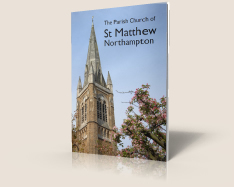 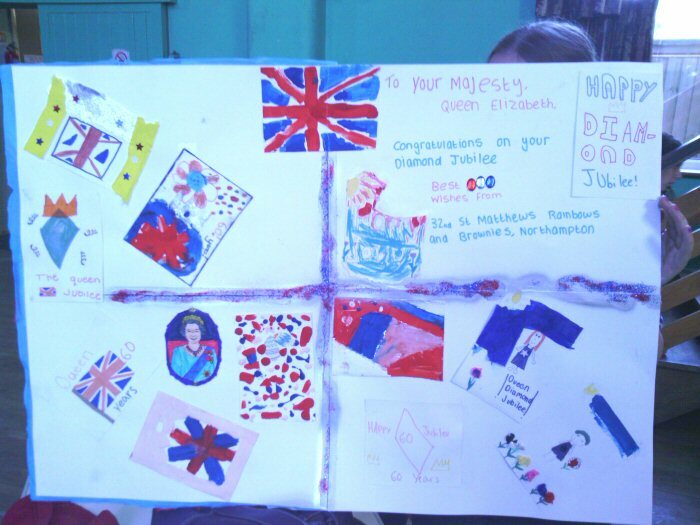 In June the Monday 32nd St Matthew’s Rainbows and Brownies worked for their Diamond Jubilee Challenge Badge, one of the Clauses being to make, and send, a card to the Queen, which we did. 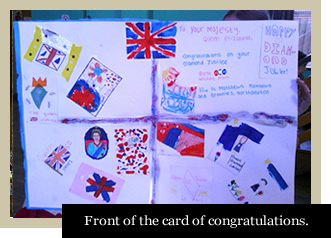 The finished card measured 76 x 45.5 cm (30 x 18 inches) and had a collage Union Jack on the front; the girls had made pictures to go inside and all the girls and leaders signed it. 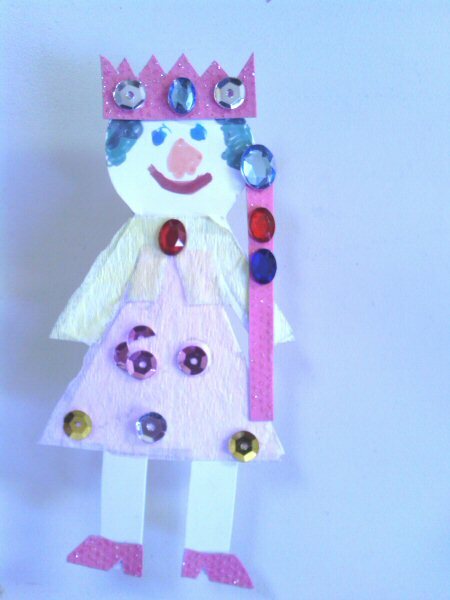 special one with sparkly shoes and complete with shiny crown to send. 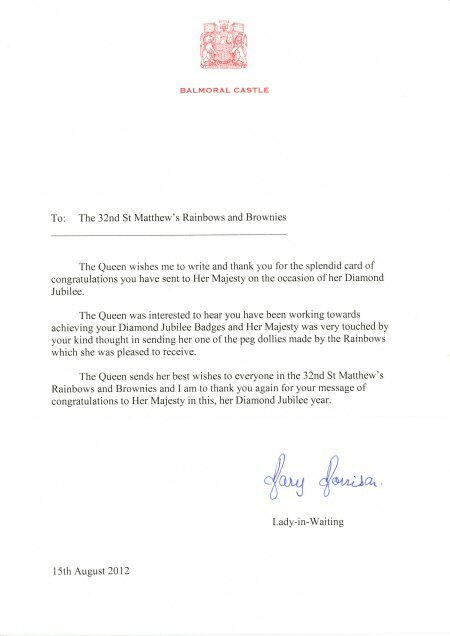 On 17 August Brown Owl received an envelope addressed to 32nd St Matthew's Rainbows and Brownies – inside was a Buckingham Palace folder containing a letter on Balmoral Castle headed notepaper, thanking the girls for the card and especially the Rainbows for the peg dolly. 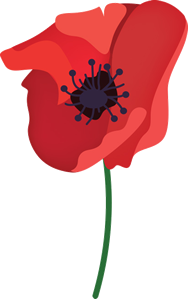 Can we say we are now ‘By Royal Appointment, purveyors of welly pegs to Her Majesty Queen Elizabeth II’? 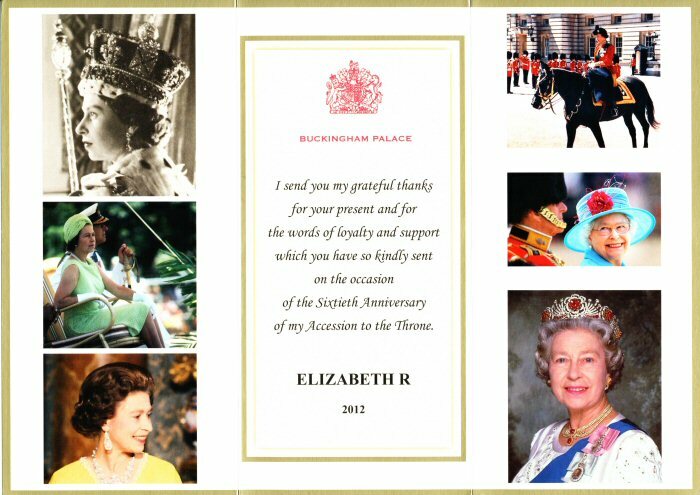 No doubt her boots at Balmoral are clipped together with our gift!